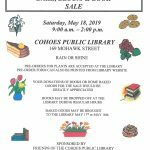 Join us for the 22nd Annual Bake, Bloom, and Book Sale! 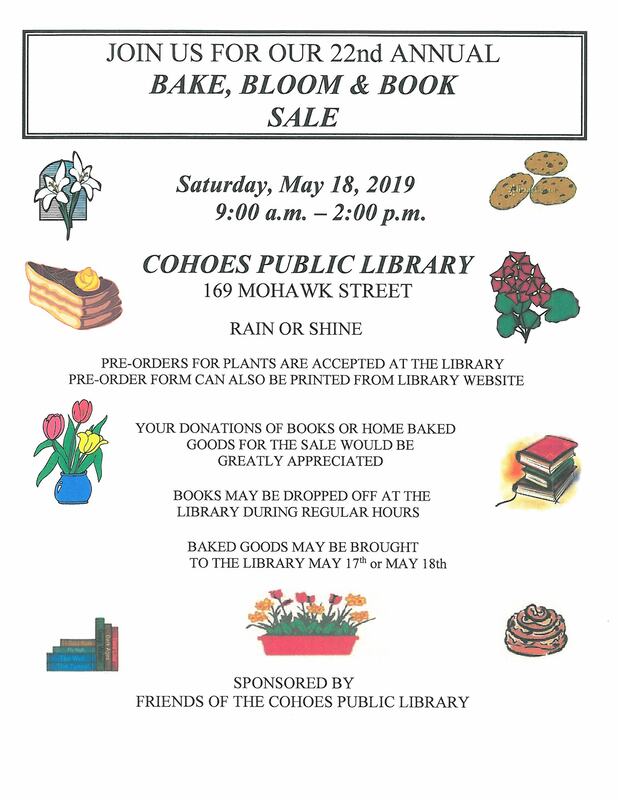 Rain or shine at the Cohoes Public Library, from 9am-2pm on Saturday, May 18th, 2019. 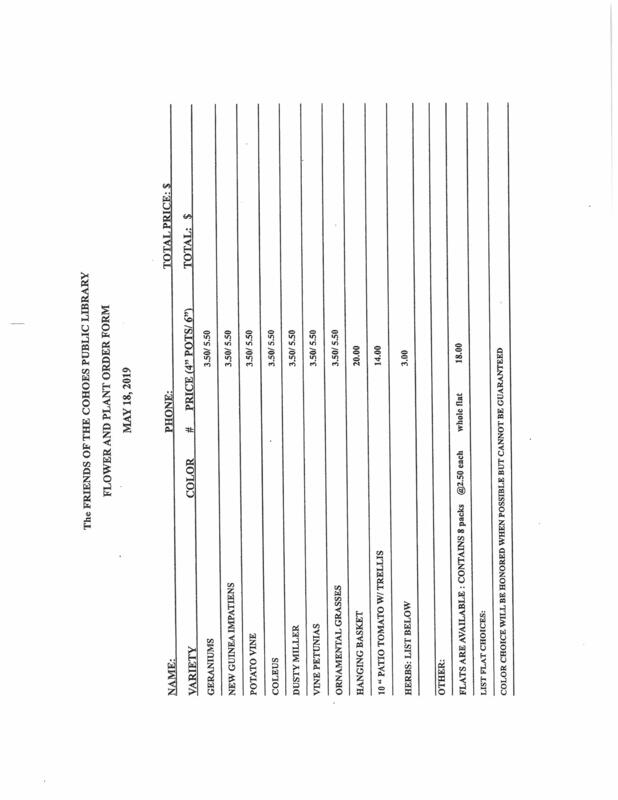 Plant pre-order forms can be picked up at the Library, or printed here online. 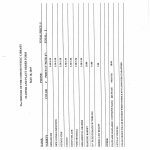 The Library cannot accept money for pre-orders, but pre-order forms should be dropped off at the Library. Pre-order cutoff is Friday, May 3rd.